Our very own Top 30 Under 30! The Top30Under30 event is fast approaching to celebrate and show appreciation to top employees under the age of 30 within the Humber region. The event provides locally-based companies with the opportunity to nominate their exceptional employees with the chance of winning an award for their hard work and achievement. 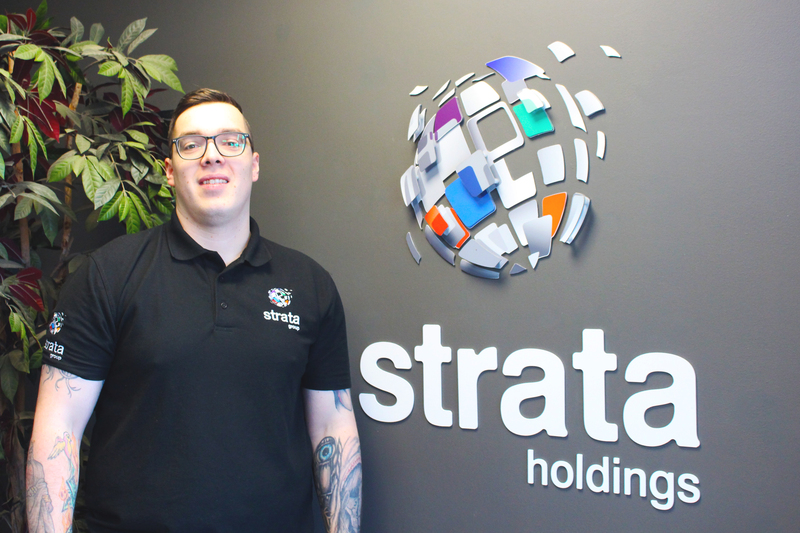 With the event coming up, we couldn't pass off the opportunity to nominate one of our own employees who has shown outstanding commitment, growth, attention to detail and enthusiasm for progression. Though it was a difficult choice when deciding who to nominate from our fantastic team, we came to a conclusion on our Business Development & Projects Manager, Oliver Hookem being nominated for recognition due to his hard work, passion, eagerness to get involved with various aspects of the company, and his positive attitude to all things signs. Olly had this to say when he was informed of our choice, "To be nominated for this award has been both humbling and amazing. The fact that our achievements as a team this year are being recognised both personally and through industry bodies has really been exciting. Sovereign Signs and the wider Strata Group have been instrumental in my development this far. I would like to thank my colleagues and directors as we look forward to finding out the results". If successfully shortlisted, we will receive an invitation to the prestigious Top30Under30 awards evening where we will hopefully see Ollie walk away with a well-deserved award. Either way, we certainly appreciate the work he does for the company. Keep an eye out on our Facebook Page as we reveal updates on the awards! From design, through production to installation, we are passionate about each project we undertake.